Every baseball fan knows Babe Ruth and “Shoeless” Joe Jackson. Every part of American history has its heroes and villains. Yet, it’s frightening how much we forget about the past mistakes we made in planning for transportation — lessons we should have learned from. This became clear recently when I was asked to be a guest lecturer to a group of urban planning graduate students at the University of Connecticut. I made reference in the class to Robert Moses and these planners of our future just gave me a blank stare. “You do know who Robert Moses was, don’t you?” I asked. They did not. I was shocked. 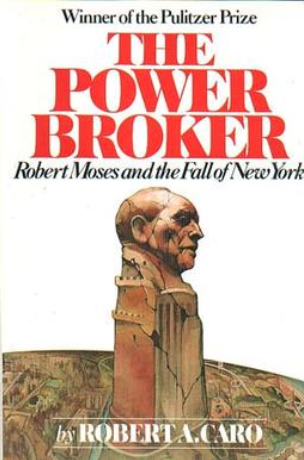 No single individual was more powerful or made more decisions affecting the New York City area’s transportation network than “The Master Builder” Moses. His grip on power came from holding 12 different job titles though he was never elected to public office. From the 1930s to the 1960s, he directed the building of 416 miles of parkways — including Long Island’s Northern and Southern State and Westchester County’s Taconic — and many bridges like the Triborough (now named after Robert F. Kennedy), Throgs Neck, Henry Hudson, Verrazzano-Narrows as well as the Brooklyn Battery Tunnel. He also designed Jones Beach and the New York State Parks system. He presided over two World’s Fairs (1939 and 1964) and helped bring the United Nations headquarters to New York City. But he did nothing for mass transit. He loved cars and didn’t really care for people who did not own them. Where others envisioned expanding the city’s subway lines, he built roads, displacing thousands of residents. Robert Caro, author of the Pulitzer-winning biography of Moses, The Power Broker, even called him a racist, because he built motorways for the middle class while discouraging the car-less (blacks) from visiting Jones Beach. He opposed blacks moving into Stuyvesant Town, a Manhattan development on the lower East Side for veterans. City swimming pools in minority neighborhoods were kept cold to discourage blacks from using them. 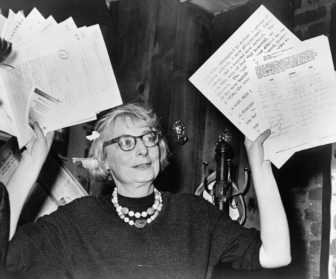 Jane Jacobs, chairman of the Committee to save the West Village holds up documentary evidence at press conference at Lions Head Restaurant at Hudson and Charles streets. Moses’ dénouement came when he tried to build the elevated, 10-lane Lower Manhattan Expressway, which would have connected the Holland Tunnel to the Manhattan Bridge straight through Greenwich Village and Little Italy, evicting 2,000 families and 800-plus businesses. 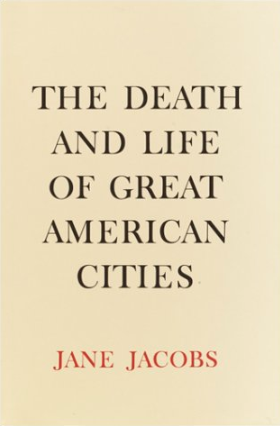 “The Master Builder” called it “slum clearance,” but residents like Jane Jacobs (author of The Death and Life of Great American Cities) fought back and the city’s artistic heart was saved. 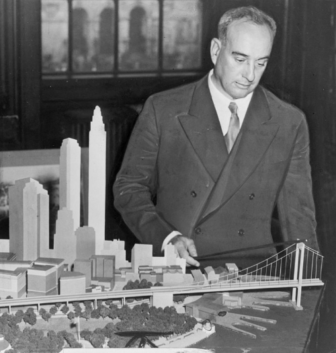 Robert Moses was not an evil man. 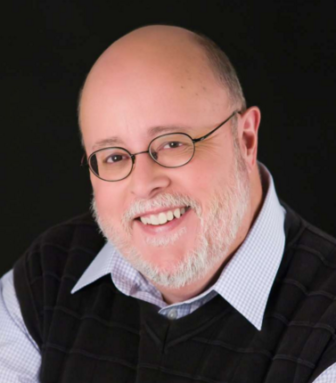 Today, many hail his accomplishments and think we need a benevolent despot to get things done in transportation and urban planning, even if a few people get hurt along the way. It’s all for the greater good, Moses once said. “I raise my stein to the builder who can remove ghettos without moving people as I hail the chef who can make omelets without breaking eggs,” he said. History will judge Moses — those he helped and those he hurt. But I think of him, more than the people he displaced, when I drive on the Cross Bronx or any of the city’s bridges. Love the omelet, forget about the eggs. But for graduate students at UConn to be unaware of this man, what he built and how, worries me greatly. To paraphrase George Santayana: Those who cannot learn from history are doomed to repeat it.